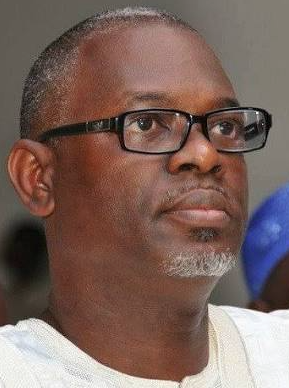 SPOKESMAN of the Peoples Democratic Party, PDP, Presidential Campaign team, Mr. Akin Osuntokun, in this interview, speaks on the chances of the PDP Candidate, Alhaji Atiku Abubakar, why the South-West geo-political zone would vote Atiku despite being maltreated by the PDP in the past and why the Independent National Electoral Commission, INEC and security agencies must ensure credible polls. How has the Atiku campaigns been? It has been a roller coaster. And it has been a triumph of human will over imponderable odds. Through the instrumentality of the security agencies, the Buhari presidency directed the barricade and blockade of the bank accounts of all known and imagined supporters of Atiku and the PDP in order to starve the campaign of funds. Of course you are aware that the signal for the commencement of this nefarious activity was the detention and ransacking of Atiku’s private jet on arrival at the airport a while ago. And the treatment was extended to the homes of his children, relatives and friends. Tunde Ayeni has been particularly unlucky in this regard. You are also aware of depriving us of access to campaign grounds that had hitherto been granted and paid for. Today (last Saturday) our proposed FCT rally at the Old parade ground was aborted in this manner. But as the saying goes, no force on earth can stop the acceptance of an idea whose time has come. Do you you think the crowds at the PDP rallies will translate to votes on February 16? I’m happy you took judicial note of the wholesome response of the masses to the Atiku candidacy. The real eye opener is the consistent and overwhelming reception in the Muslim North. And I’m sure you know why. This constituency is supposed to be the stronghold of President Muhammadu Buhari. This myth has been successfully challenged and laid to rest. The politically conscious masses in the North do not pretend. If they don’t want you, they would convey the message to you directly through acts (some of which I don’t recommend) such as stoning your convoy or chanting Sai Buhari at your rallies. Not only have we not seen this, you can see the passion for Atiku in their countenance and anger at Buhari for taking them for a ride. So, I don’t have an iota of doubt that this is for real and will translate into massive voters support for us on the D Day. PDP was said to have marginalised the South-West in the past. Has the situation changed? What will the South-West gain from the Atiku presidency compared to the VP position assured by re-electing Buhari? The question of the marginalisation of the South-West has been a sore point since the Jonathan Presidency. I believe it could have been better handled. But the priority of the South-West has not been about the politics of patronage. It is about fundamental issues particularly constitutional reform that will result in the restoration of the federalist framework and substantial devolution and decentralisation of powers. And you can see this preference in the fact that despite the Vice President and the largely illegitimate occupation of the governors lodge in the six states by APC operatives, the dignified electorate of the zone have emphatically shunned identification with the purveyors of the Greek gift. Your take on the Independent National Electoral Commission, INEC and security arrangements including redeployment of police commissioners last week. Will these guarantee credible polls? In a manner of speaking, this election is largely a contest between the Nigerian public and the PDP on one hand versus the APC, the security agencies and INEC on another. The security agencies and INEC will have a golden opportunity to redeem their battered image by discharging their constitutional and moral obligation as servants of the Nigerian public rather than slaves to the APC masters. This negative perception is derived from the immediate background of the odious role the agencies played in the daylight robbery of the Ekiti and Osun states electorate in the governorship elections that recently held in the two states. What is your take on the Chief Justice of Nigeria, CJN, Justice Walter Onnoghen saga? The Justice Onnoghen issue is a propaganda subterfuge for achieving an ulterior agenda. It epitomises the sham anti-corruption policy of the Buhari government. It is consistent with the employment of anti-corruption rhetoric to achieve a corrupt intent. I must say that the strategy has found a fertile ground in a Nigerian environment that is suffused with hypocrisy and duplicity. We have a President, who will proclaim from a campaign podium peopled by corrupt people that he has a singular mission to jail looters. Thereby pointing a finger of accusation and being rebuked by the redirection of the remaining nine fingers right back at him. Governor Nasir el-Rufai, last week, warned foreigners against interfering in the electoral process or they would leave the country in body-bags. What is your take on this? I’m totally taken aback at El Rufai, not just on account of the outrage of his primitive and impotent outburst. In a party distinguished for mindless fascism, he has a background that stands him apart from the APC pack- If gold can rust. But the outburst is even more significant for what it does not say. No incumbent projecting victory for itself at the polls will behave in this manner. They definitely know a lot more than we do and what they know does not give them comfort and peace. It is a signal of desperation and panic. And the preparedness to unleash mayhem if their intention to subvert the election were thwarted. But it is also a powerless and pathetic threat. Those who want to play Gbagbo should be reminded of the fate that ultimately befell their role model. What is your take on the world tallest broom erected at Abuja city gate by the government? It is bizarre and can only be an indication of the primitive turn of mentality of the APC leadership. I’m reminded of the interpretation given by Femi Aribisala of the occultic symbolism of the broom. I think it is a ritual consecration to Satan but whatever it is, our forces of light and illumination will overwhelm their darkness.